Scientists have discovered a circuit in the brain’s amygdala whose malfunction drives anxiety. The research uncovers the key role played by a signaling molecule called dynorphin which could be a target of future anti-anxiety treatments. Researchers have identified a neural circuit in the amygdala, the brain’s seat of emotion processing, that gives rise to anxiety. Their findings published in the Journal of Neuroscience on May 29th, have revealed the critical role of a molecule called dynorphin, which they believe could serve as a target for treatment of anxiety-related disorders including post-traumatic stress disorder (PTSD). Very intense fearful experiences, especially those that are life threatening, are often “over-learned” and can lead to an unhealthy level of anxiety or to anxiety disorders. In the U.S. each year, the National Institute of Mental Health estimates that 18% of the adult population suffers from an anxiety disorder. 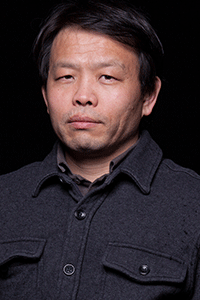 Bo Li, Ph.D., a 2015 Independent Investigator and 2010 Young Investigator at Cold Spring Harbor Laboratory, has conducted extensive research on circuits in the brain that are involved in generating or propagating anxiety. Previous studies indicated that two regions in the amygdala—the central amygdala and the BNST—coordinate short-term and long-term responses to various kinds of threatening stimuli. “What we haven’t known are the underlying circuit and cellular mechanisms in these regions that control the generation of anxiety,” says Li. Li and colleagues including Sandra Ahrens, Ph.D., a 2013 Young Investigator who is a member of his lab, focused on connections between the central amygdala and the BNST. They discovered a new circuit which they say drives anxiety under certain conditions. Their experiments in mice revealed that the process leading to anxiety begins with increased excitation in the central amygdala of neurons that express a molecule called somatostatin (SOM). When these neurons are overexcited (for instance, when an animal feels afraid after perceiving a threat) they release a signaling molecule called dynorphin. This aberrant signaling interferes with a mechanism in the circuit that normally tamps down the signal of SOM neurons. Because this inhibition fails, Li’s team learned, SOM neurons in the BNST now become overexcited. The net result is a display of anxious behavior. The research suggests that a drug to block dynorphin might short-circuit or lessen excessive anxiety. Li’s team will now search for dynorphin docking ports in SOM neurons or other neurons that provide them with signals, which might be blocked to prevent the signaling that drives anxiety.